In the familiar setting of Holt, Colorado, home to all of Kent Haruf's inimitable fiction, Addie Moore pays an unexpected visit to a neighbor, Louis Waters. Her husband died years ago, as did his wife, and in such a small town they naturally have known of each other for decades; in fact, Addie was quite fond of Louis's wife. His daughter lives hours away in Colorado Springs, her son even farther away in Grand Junction, and Addie and Louis have long been living alone in houses now empty of family, the nights so terribly lonely, especially with no one to talk with. 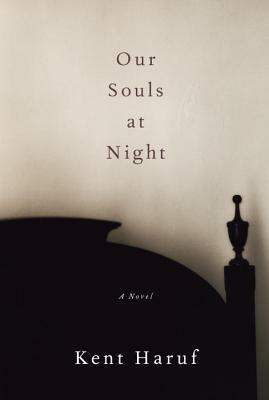 Their brave adventures--their pleasures and their difficulties--are hugely involving and truly resonant, making Our Souls at Night the perfect final installment to this beloved writer's enduring contribution to American literature. KENT HARUF is the author of The Tie That Binds, Where You Once Belonged, Plainsong, Eventide, and Benediction. (And, with the photographer Peter Brown, West of Last Chance.) He died in November 2014, at the age of 71.